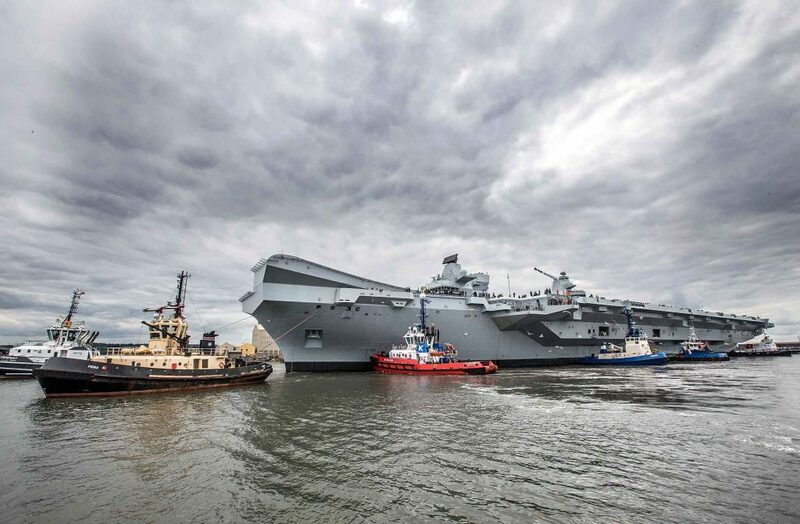 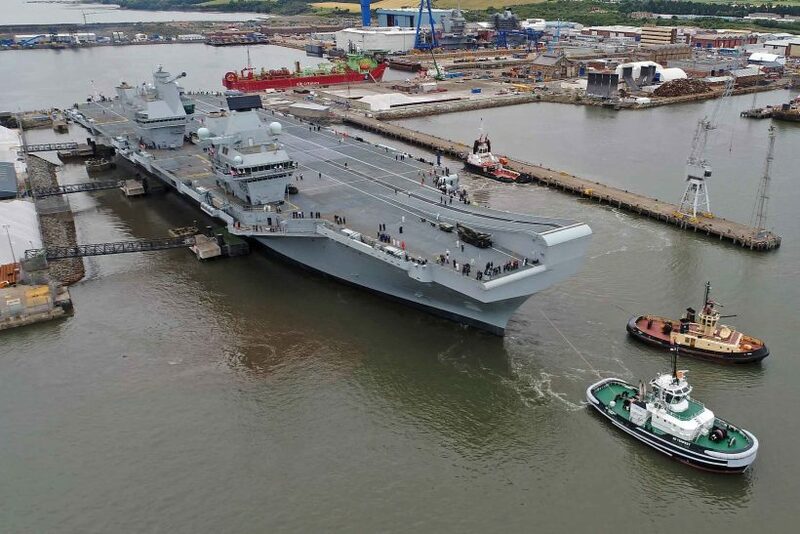 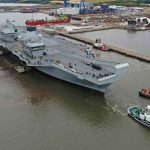 A significant moment in the Royal Navy’s history occurred on Monday 26 June 2017 when the new aircraft carrier HMS Queen Elizabeth departed her builders at Rosyth to commence initial sea trials. 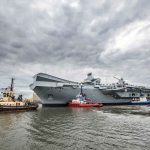 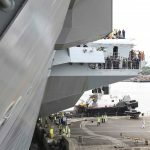 Queen Elizabeth – the first of two aircraft carriers ordered in July 2008 – will be the largest ship ever to serve in the Royal Navy when she enters service later in the year. 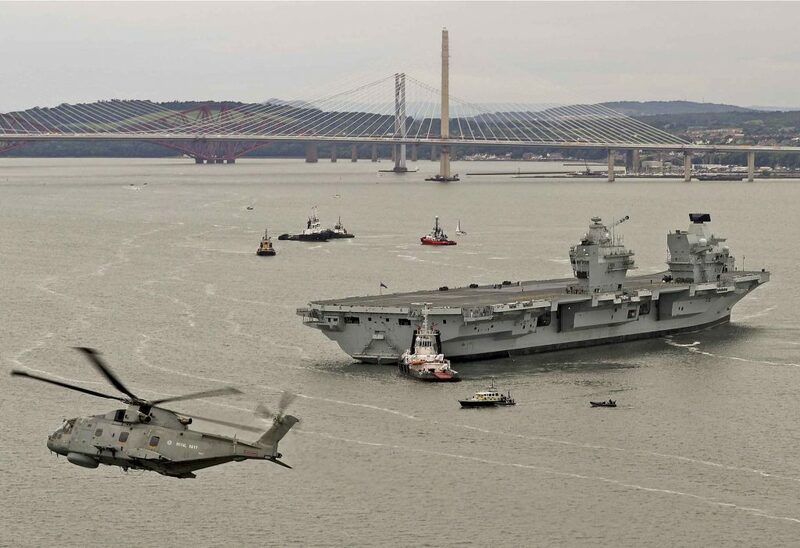 The new carrier’s departure from Rosyth involved a complicated series of manoeuvres. 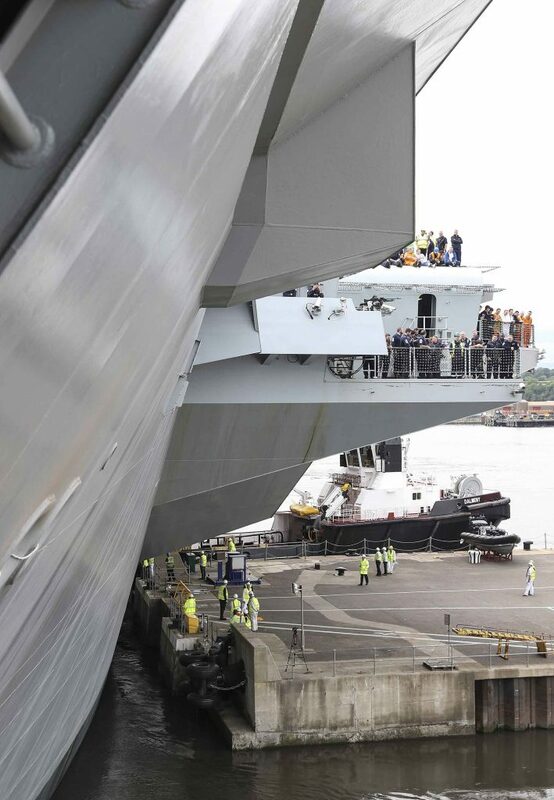 Departure from the basin in Rosyth Dockyard could only be carried out at high tide and with only inches to spare on either of the basin’s entrance. 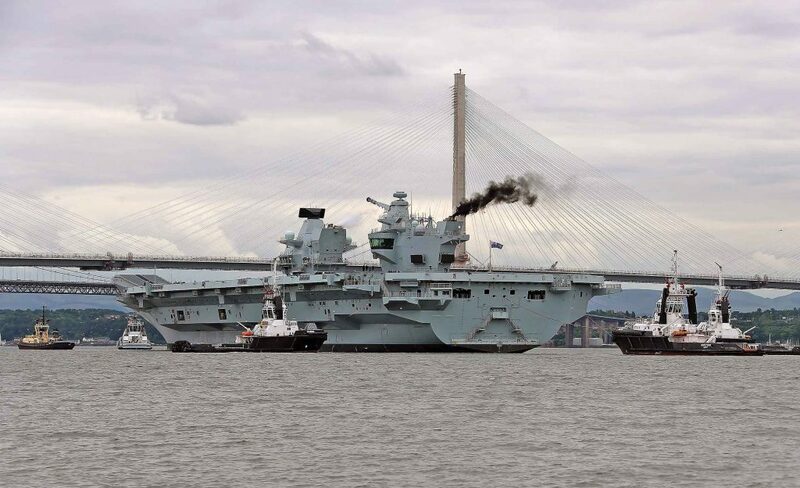 Subsequently, the ship had to anchor in the River Forth until the tide fell sufficiently for her to squeeze under the Forth Railway Bridge, the lowest of the three bridges linking Lothian with Fife. 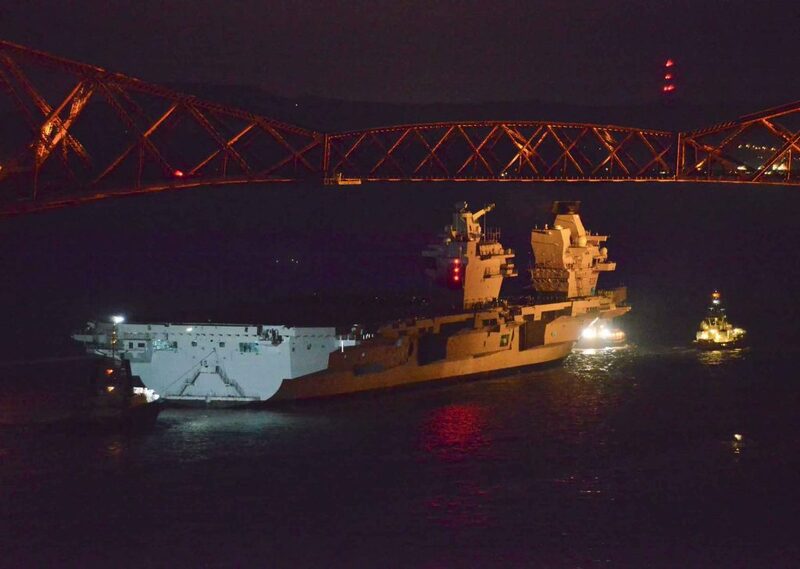 Transit of the bridges took place at night with less than six feet of clearance from Queen Elizabeth’s highest point and with an even lower depth of water under her keel. 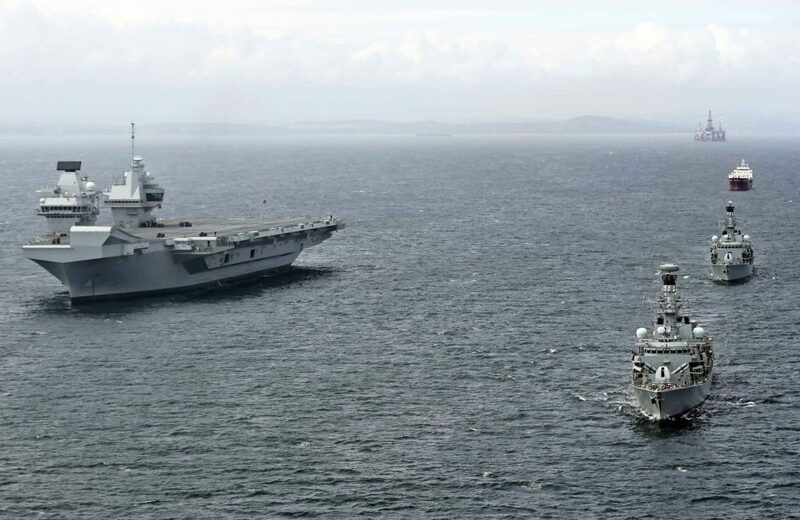 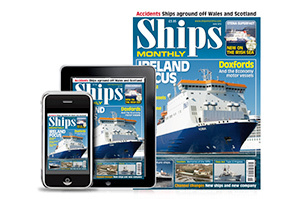 Once safely out at sea, the carrier was joined by the frigates Sutherland and Iron Duke. 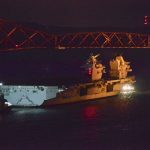 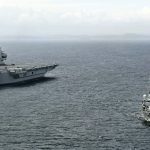 They are tasked with escorting the carrier as she carries out an initial phase of trials that are scheduled to last around six weeks. 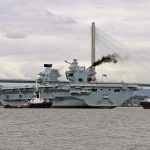 The ship will then return to Rosyth for a further period of work before commencing a further round of trials in the autumn. 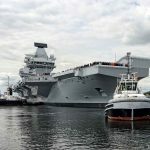 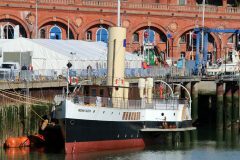 She will arrive at her homeport of Portsmouth before the end of 2017. 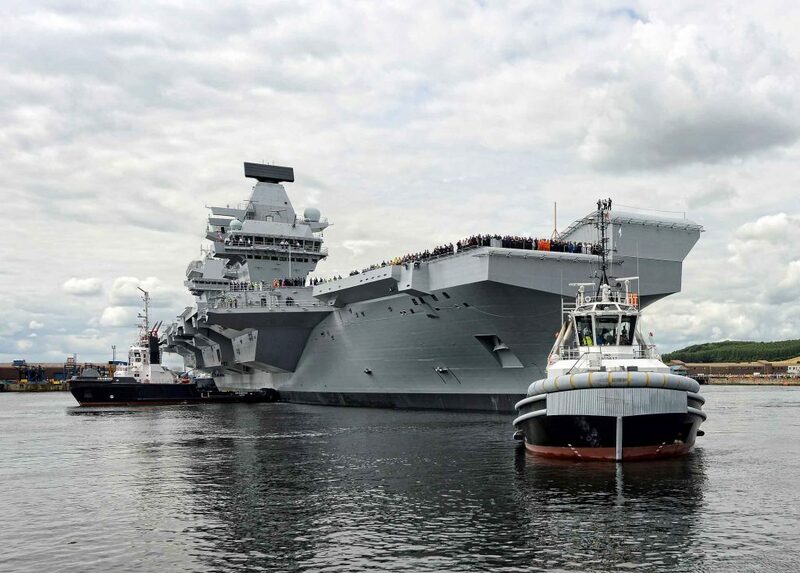 Queen Elizabeth displaces 65,000 tons and is 280m in length. 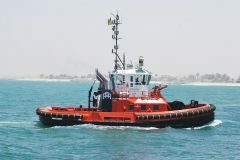 An integrated electric propulsion system is capable of driving her at a top speed in excess of 25 knots. 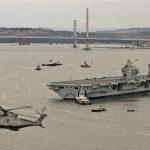 Once fully operational, she will be able to embark an air group of up to forty aircraft including F-35B Lightning II strike fighters and Merlin helicopters. 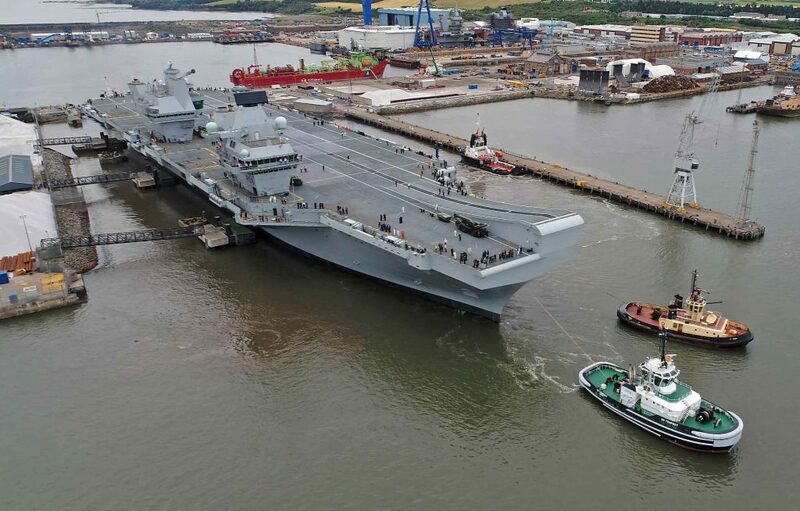 The UK Ministry of Defence report that she comprises around 17 million individual parts and has taken 51 million man hours to design and build.